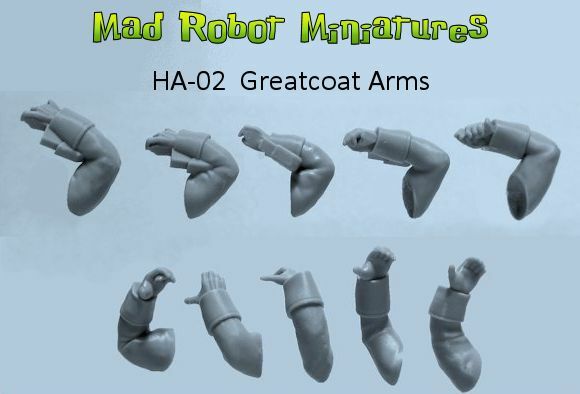 Greatcoat Arms [HA-02] - $5.40 : Mad Robot : We Likey Minis!! 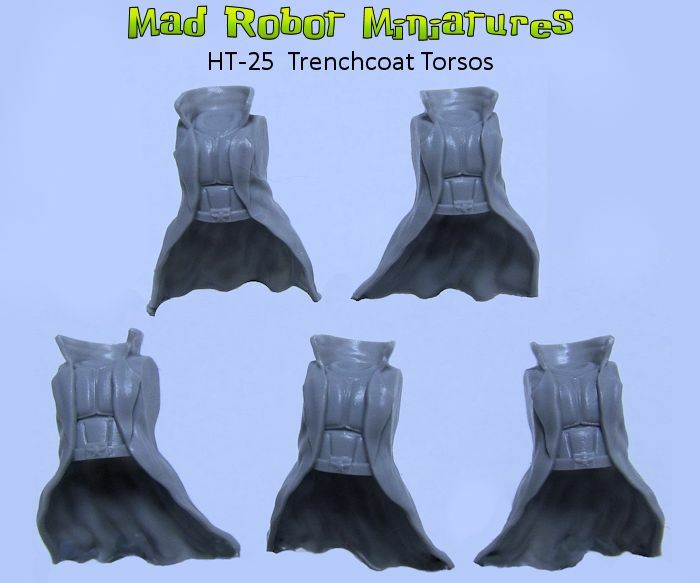 This set contains 5 pairs of arms, wearing greatcoats. There are 3 right handed poses and 2 left handed poses. 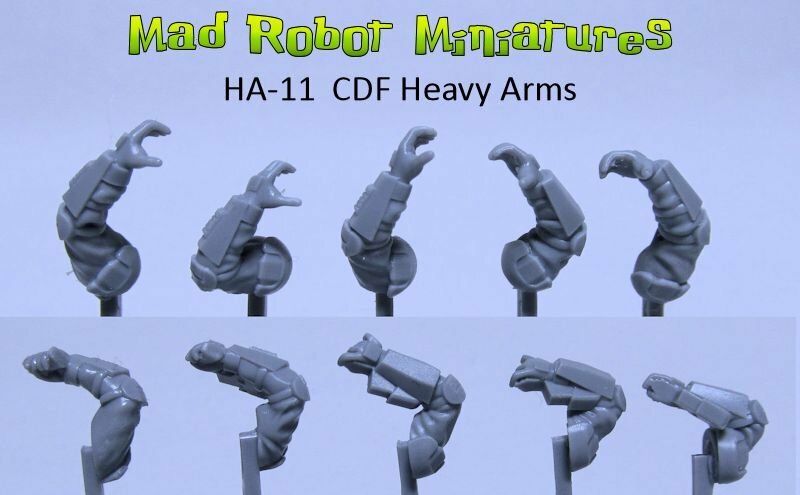 Designed to be compatible with all Mad Robot weapons and other popular 28mm sci-fi weaponry.